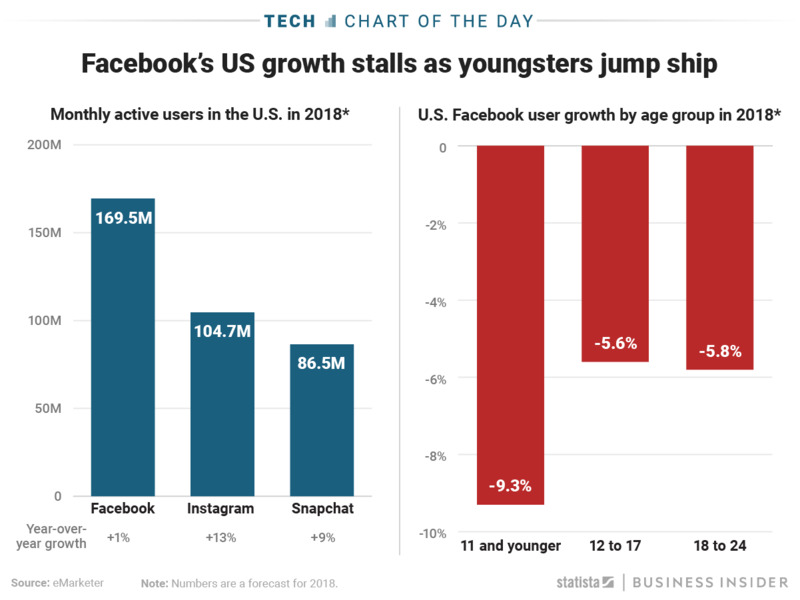 Facebook’s struggle to attract young users is only getting worse, according to market forecasts. In its most recent quarterly results, Facebook revealed that its user base had basically come to a halt in North America, and that its daily active users had dropped by 1 million. But Facebook is still getting hit the hardest when it comes to attracting young people. As this chart by Statista shows, the user growth for people under the age of 11 is predicted to be especially dismal for 2018, even despite the site’s popularity compared to Snapchat and Instagram.